Mount Shrine is a dark(ish) ambient project from Rio de Janeiro, Brazil. From the tidbits of info I’ve gathered, they seem to be one of the younger artists to join the Cryo Chamber label. 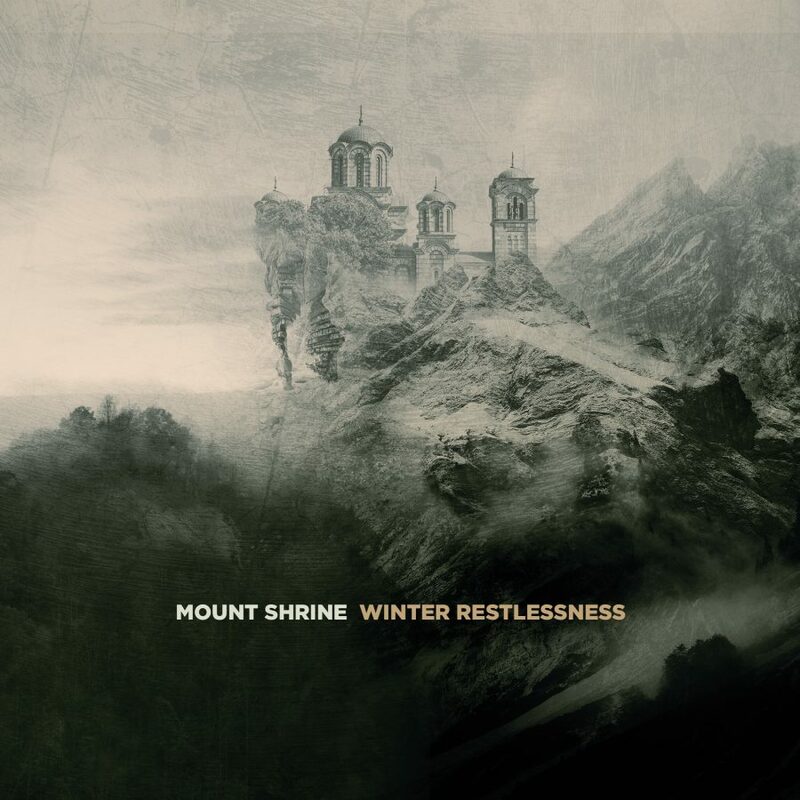 While Mount Shrine has only been creating music under this moniker for several years, they seem to have an impressive mastery of the more field recording driven side of the dark ambient genre. Many previous Mount Shrine releases contain long tracks, some reaching 15+ minutes. With the majority of the tracks on Winter Restlessness following this longer format it is possible for the sounds to take the listener on deep journeys into their subconscious. It can be perfect meditation, reading, and sleep music because of its slowly evolving elements, peaceful rain field recordings and just enough additional sounds (often more field recordings, but also musical elements too) to keep the soundscapes interesting and engaging. We can hear Mount Shrine honing their sound on previous releases like Forbidden Temple. 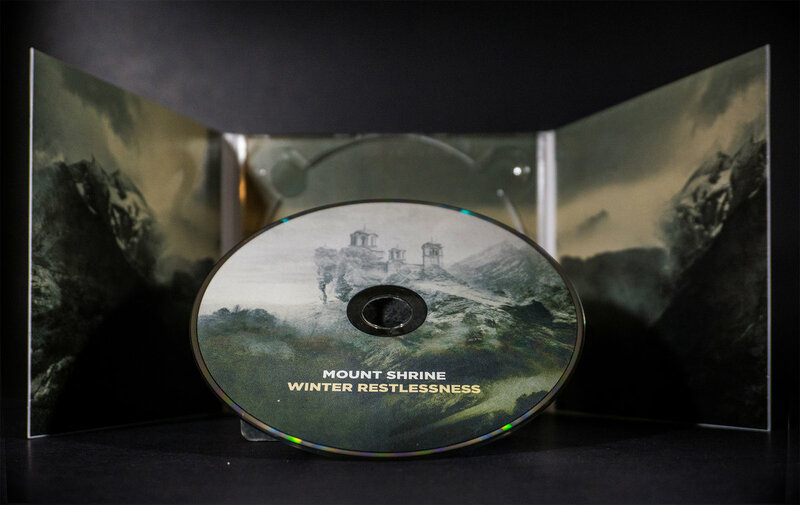 But, it is worth mentioning that Mount Shrine has said on their social media that Winter Restlessness should be considered their official debut. So, I guess we can consider all these older releases to be demos and preparation for the project’s real introduction to the world. While they obviously aren’t as polished as a Cryo Chamber release, they are definitely interesting and deserving of a listen if you find Winter Restlessness so good that you must have more. There are a few releases on Cryo Chamber which could be reasonably compared to Winter Restlessness. The first that came to my mind was SiJ & Textere Oris – Reflections Under The Sky. Though after a good many replays of Winter Restlessness, I’m finding the theme here to be better represented, personally. Another comparison that came to mind was Enmarta – The Hermit, though only in theme, as Enmarta allows his viola to add a very specific sort of sound to his tracks, a highly active style of sound in comparison to the subtleties of Mount Shrine. The subtleties are certainly the most appealing elements of this sound. Mount Shrine makes music which is truly perfect for augmenting reality. It is never aggressive in its delivery. Sounds of a staticy radio transmitting unintelligible voices could be jarring to the experience, but they melt beautifully into the tapestry of Winter Restlessness, sometimes only even recognizable through headphones with added attention. This leads to one of my favorite claims to make about a dark ambient album, and one I make often in the releases I selectively choose to cover: Winter Restlessness is a perfect release for active or passive listening. In the background, the slowly evolving drones, rains and transmissions all come together forming a wonderfully complex texture, which never becomes a distraction from deep thought. In an active listening session listeners can begin to take note of all the varied field recordings, which do so much in creating the cinematic experience. This formula is the perfect dichotomy for a sleep album as well. The listener can find enough activity to keep their mind from wandering into territory which could be detrimental to the onset of sleep. However, once the darkness takes hold, one can gently drift off, never being abruptly pulled back to reality. Even at quite high volumes, I’ve personally been able to fall asleep with Winter Restlessness on repeat and was never once awakened before the morning. The subtleties as well as the theme make Winter Restlessness a particularly potent tool for aiding meditation. For all the reasons stated above in regards to sleep, using Winter Restlessness for meditation is particularly convenient. As a whole, the album is incredibly relaxing and conducive to focus. But the story isn’t all positive, nor are the soundscapes. While the protagonist sits full lotus inside their shrine, the scent of sandalwood wafting passed their nose, they are at once in the most beautiful place on Earth, in tune with nature, but also totally disconnected from the usual reality of daily human contact. This sort of separation can form a sense of a serene contentment, but also the ugly head of loneliness constantly leers from the shadows, always attempting to pull the meditator into a dark void. This darker side to the album presents itself most noticeably in the use of drones. While the gentle texture of a million raindrops falling can be incredibly relaxing, inducing a sense of serenity, the drones can often move into the darker territory. This is not so much a malign or violent darkness. Instead, it is more akin to the restlessness one finds close to the end of a mediation session. When you know the timer or Tibetan singing bowl is just about to chime, but doesn’t for minute after yet another minute. The serenity really never leaves, but the restlessness can become almost overwhelming at times. But of course, wrestling these emotions/urges is what makes meditation such a powerful tool for mental wellness. From a technical standpoint this is one glorious release. Every element of Winter Restlessness seems to be perfectly honed. Painstaking attention to detail makes every rain drop, every staticy transmission, every evolving drone as crisp and pristine as one could imagine. Reading a post on the personal social media of the man behind this album, a quote worth mentioning is “This album was produced through February-June this year, with me and Simon working A LOT together giving the final touches on it.” Knowing that Simon Heath of Atrium Carceri/Sabled Sun had some direct input on this release (outside his usual mastering role), whether that was simply through advice or through hands-on manipulation doesn’t necessarily seem relevant to me. The important part is pointing out this close relationship and familial setting cultivated by Cryo Chamber. One could argue that the added input takes away from our understanding of Mount Shrine, but I find this unnecessarily pessimistic. When talented musicians are in contact with one another, and one has well over a decade of intense personal experience within the given genre, it seems like a win/win for the audience. We are sure to get the absolute best version of an album in the end. Improvement is improvement, no matter how achieved, and the final product should always be the most important factor. 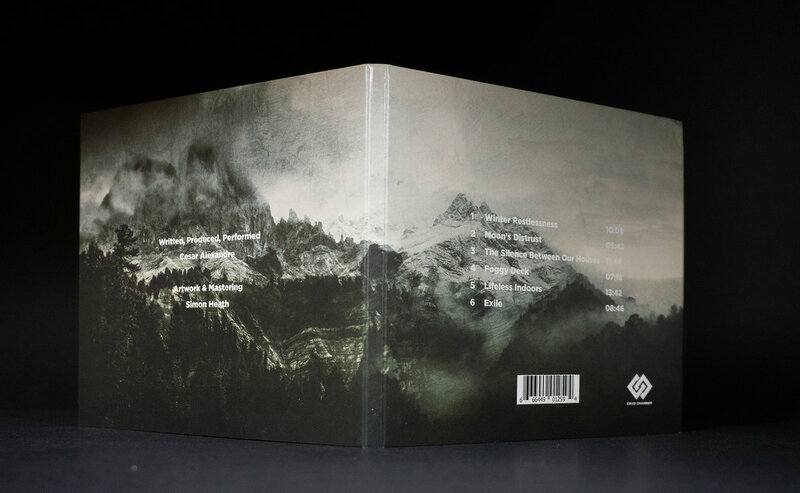 I would highly recommend Winter Restlessness to fans of a more laid-back dark ambient. The drones and field recordings are used in almost equal proportions throughout the album, so I could see fans of both or either of these elements to find something they love here. Mount Shrine appears to be a young musician with an abundance of talent and creativity. I will be very pleased to see his relationship with Cryo Chamber continue, and his delves into serene environments expand, furthering the concept of Winter Restlessness, or dropping us into a totally new setting. Love your website. Keep it up. Also loved this read and just finished listening to a few of his sounds, absolutely love this . This is a really great album. Anyone that likes the ambient minimalist genre, or ambient music with soft nature sounds will enjoy this. I’d even say it’s the best ambient work I’ve in years. I wouldn’t call it dark, though. It reminds me a bit of the slowly turning atmospheres of the Vidna Obmana and Sam Rosenthal project, Terrace of Memories. Yes, this is much less “dark” than most of the stuff I cover. But it still fits very nicely into the dark ambient framework, even if it isn’t the malign sort of dark. Late night walks can be as dark as satanic rituals! I come back to this album several nights a week for sleep.